It's Time to Nominate Yourself or a Colleague! 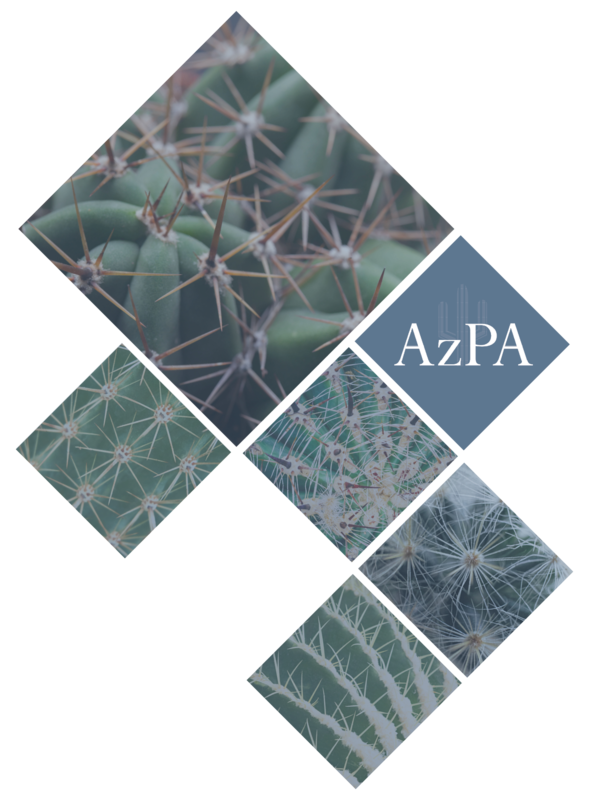 AzPA is looking for new leaders to serve on our Board of Directors. Consider giving back to your profession and organization by lending your time, talent, and resources to advance the profession and organization forward. It is your privilege as a dues paying member to run for office and serve on the Board of Directors. When considering colleagues for these positions please inquire about their membership status and encourage them to join of they are not yet a member in order to qualify. We kindly ask that you do not nominate someone without asking them first if they are willing to serve. Term: (3 Years) The President-Elect shall be elected for a term of one year and shall ascend to the position of President in year 2 then Past President in year 3. Duties: The President-Elect shall perform the duties of the President when the President is unable to do so. The President-Elect shall be a member of the Board of Directors and shall serve as its Vice-Chair. The President-Elect shall be a member of the Nominating Committee. The President-Elect shall serve on the Board of Directors for the Arizona Pharmacy Foundation (APF) as the official AzPA representative. Qualifications: Must be a pharmacist who has served on the APF, PNA or AzPA Board of Directors for at least one year. Nominations are Closed. Please watch for your ballot in May 2019! Term: Director at Large positions shall serve a term of two (2) years. Duties: Director at Large shall be a member of the Board of Directors and will serve as a representative to the full membership of the organization, and provide support for ongoing initiatives of the Board of Directors, including serving on committees and participating in Board of Director projects. Pharmacy Technician Director at Large: The Pharmacy Technician Director at Large shall chair the Pharmacy Technician Special Interest Group. Health Systems Pharmacy Director at Large: The Health Systems Pharmacy Director at Large shall chair the Health Systems Pharmacy Special Interest Group. The Health System Special Interest Group shall be the State of Arizona affiliate with the American Society of Health-System Pharmacists (ASHP) and be subject to such rules and regulations as defined by ASHP for such affiliation. Community Pharmacy Director at Large: The Community Pharmacy Director at Large shall chair the Community Pharmacy Special Interest Group.